Ambassador Rice Asks Not To Be Considered For Secretary Of State : The Two-Way She has been the target of sharp criticism from many Republicans because of what they have charged were misleading statements she made in the days after the Sept. 11 attack on the U.S. mission in Benghazi, Libya. Moving to withdraw her name from among those being considered to be the next secretary of state, embattled U.N. Ambassador Susan Rice has told President Obama she does not want to be nominated. "While I deeply regret the unfair and misleading attacks on Susan Rice in recent weeks, her decision demonstrates the strength of her character, and an admirable commitment to rise above the politics of the moment to put our national interests first. The American people can be proud to have a public servant of her caliber and character representing our country." "Embattled U.N. envoy Susan Rice is dropping out of the running to be the next secretary of state after months of criticism over her Benghazi comments, she told NBC News on Thursday.
" 'If nominated, I am now convinced that the confirmation process would be lengthy, disruptive and costly — to you and to our most pressing national and international priorities,' Rice wrote in a letter to President Obama, saying she's saddened by the partisan politics surrounding her prospects." 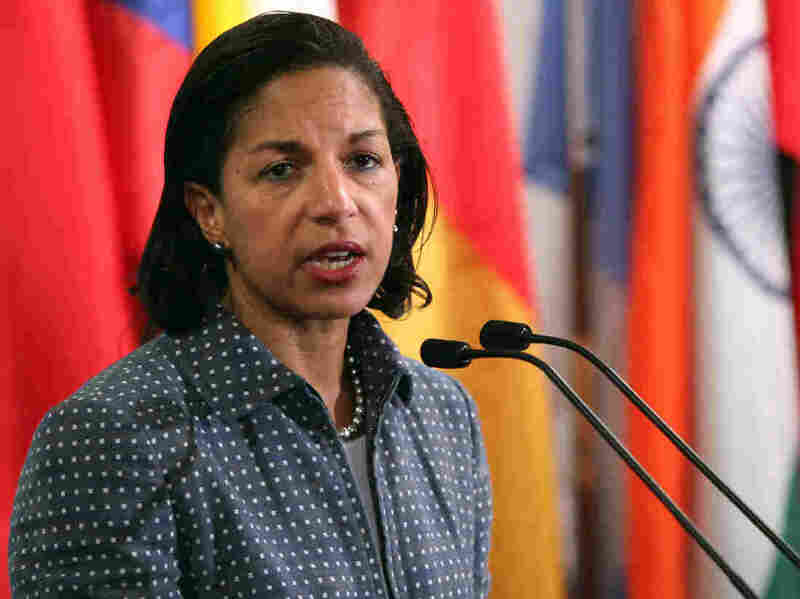 Rice has been the target of sharp criticism from many Republicans because of what they have charged were misleading statements she made in the days after the Sept. 11 attack on the U.S. mission in Benghazi, Libya, in which the ambassador and three other Americans were killed. Critics say she downplayed the role that terrorists played. The administration says she relied on information provided by the intelligence community. Secretary of State Hillary Rodham Clinton has said she plans to step down sometime in the coming months. Among others thought to be leading contenders for the job is Sen. John Kerry, D-Mass. We've put a copy of Rice's letter to the president online, and you can read it in the box below. Click on the title — "Susan Rice Letter" — to pop up a larger view.